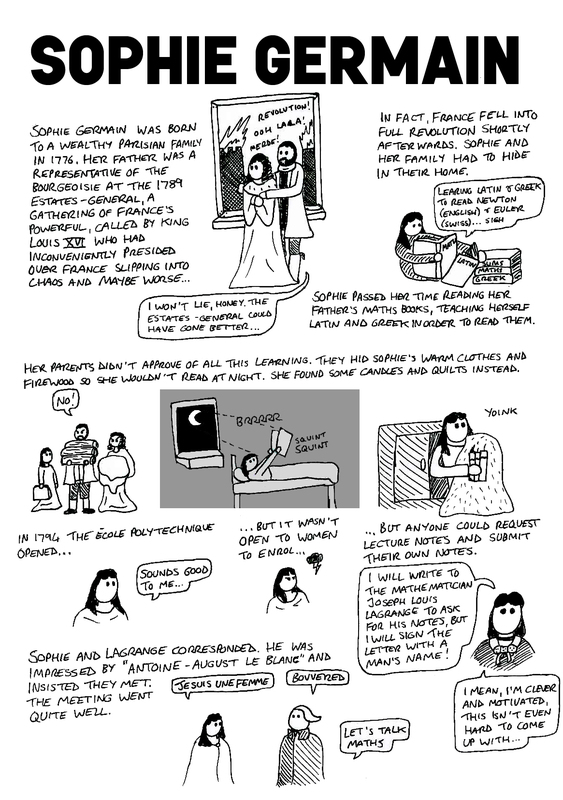 Badass Wimmin of History is a comic/zine/completely legit History journal, written and drawn by Holly Cruise (@hollyzone). Holly came up with the idea after years of aimless doodling and near-constant banging on about History, the interesting people in History, and the unfortunate way women in History often lose out as the spotlight is shone elsewhere by many mainstream historians. 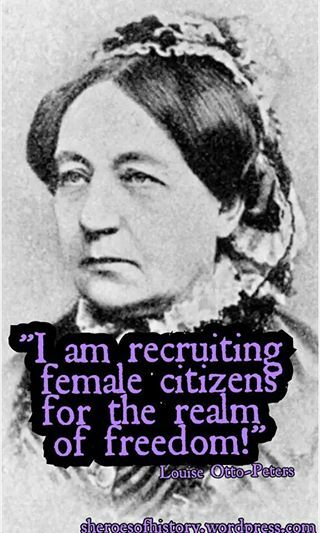 Badass Wimmin of History is a bi-monthly (ish) comic/zine which wants to present the lives of interesting women in a passionate, at times irreverent, but always historical way. It isn’t just a place for queens and ladies (although there is space for them too) but for scientists, soldiers, actresses, writers, pirates, mathematicians, sports stars, singers, inventors, pilots… the list is huge, probably because women have been busy doing things and being interesting for as long as humans have been around. Funny that. Here is a taster of the sort of thing BWoH contains. The life of French Mathematician, Sophie Germain (1776-1831).